NORTH Melbourne vice-captain Jack Ziebell will almost certainly finish a one-club player after signing a new five-year deal that ties him to Arden Street until the end of 2021. Ziebell, 24, was previously contracted until the end of 2016 when he was set to become a free agent. But North coach Brad Scott announced the 24-year-old midfielder's new long-term deal at the club's best and fairest count on Friday night. Scott had more good news for the Roos' faithful gathered at Docklands, announcing that defender Sam Wright had also recommitted to the club until the end of 2018. Wright activated a trigger guaranteeing him a contract for 2016 when he played his 18th game this year in round 19 against Melbourne, but the former Murray Bushranger has now agreed to a further two-year extension. Ziebell's new deal gives him the longest tenure of any player at North by two years, with Robbie Tarrant the next most secure Roo. Tarrant signed a four-year deal this year that ties him to North to the end of 2019, but no other player is signed beyond 2018. 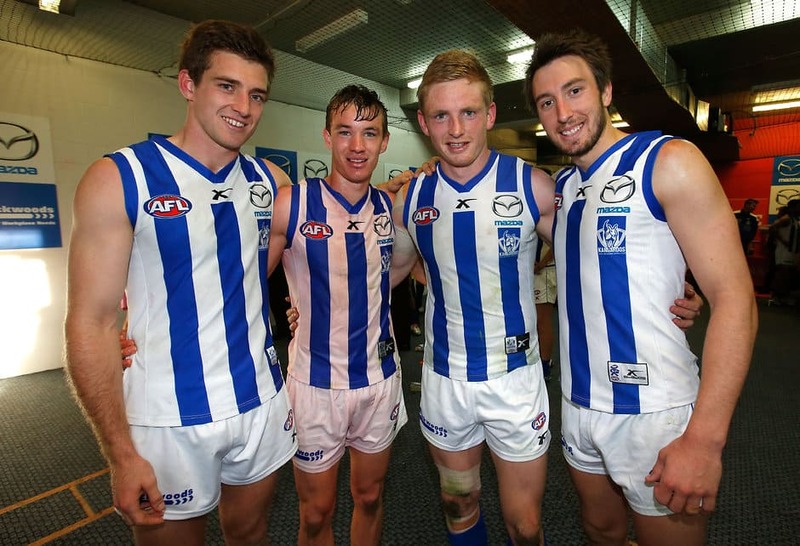 “I’ve loved every minute at North Melbourne and wouldn’t want to be anywhere else,” Ziebell said on Friday evening. “I’m proud to be part of what is an amazing culture and a place where we are primed for success. Ziebell is widely regarded as Andrew Swallow's likely successor as captain, having assumed the joint vice-captaincy with Drew Petrie on the eve of his fourth season, 2012. The Wodonga product is a key part of North's midfield, shouldering most of the inside 'grunt' work with Ben Cunnington and Swallow, while he has become a dangerous match-up for opposition teams when resting in attack in recent seasons. Ziebell played a career-high 24 games this season to take his career total to 124. Wright started his career at Arden Street as a forward but has played his best football since settling in defence. After an up-and-down start to 2014, Wright established himself as a vital member of the Roos' back half in the second half of last season and continued that form in 2015. “I’ve loved my time at the club and certainly wouldn’t want to be anywhere else,” the defender said. An excellent kick on both feet, Wright provides North with much of its drive from the back half, but can also lock down on dangerous opponents when required. Wright missed just one game this year, when he was rested ahead of the finals in round 23. Both Ziebell and Wright were recruited from the Murray Bushrangers in the 2008 national draft, Ziebell with pick No.9 and Wright with pick No.27.